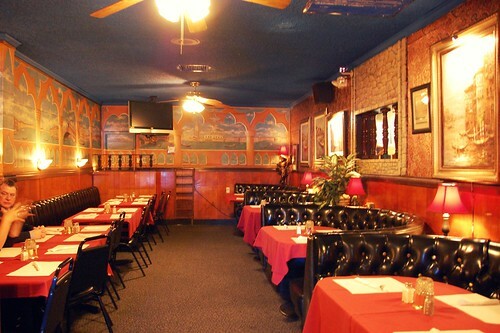 Someone with terrible taste took me to the Venice Room (2428 S. Garfield Ave., Monterey Park). It looked sort of cool and retro from the outside. But then I stepped inside. 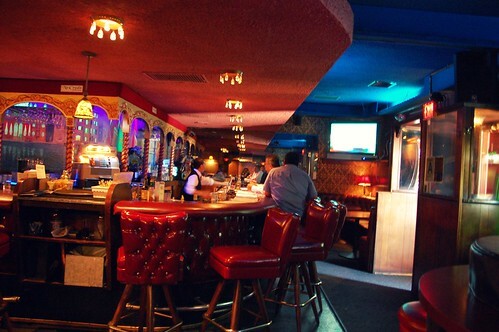 It's a dump, one that is stuck in the '70s. The daily lunch special is a cook-your-own steak with baked potato, salad, bread, and butter. It's $7.75 for a 7-ounce steak and $13.50 for a 13-ounce steak. You get what you pay for. I paid for it in the bathroom all afternoon. And you know what? 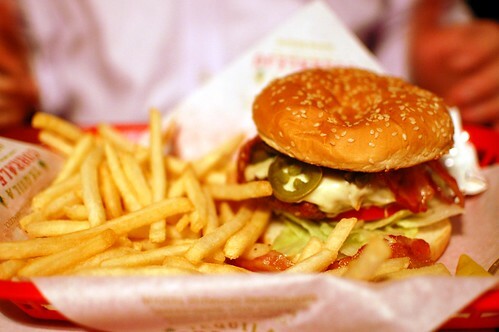 I was stupid enough to return because another person with terrible taste convinced me to try Wednesday Burger Day. 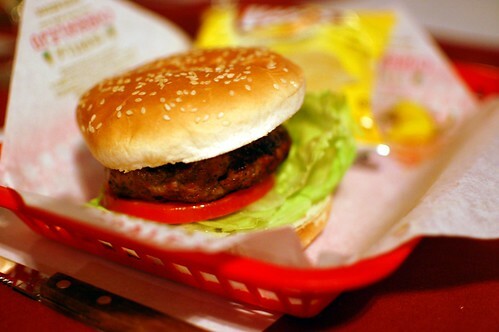 Jalapeño burger with Swiss cheese ($6.00). 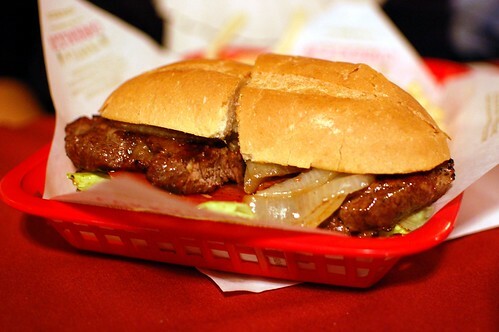 Steak sandwich with grilled onions ($6.00). 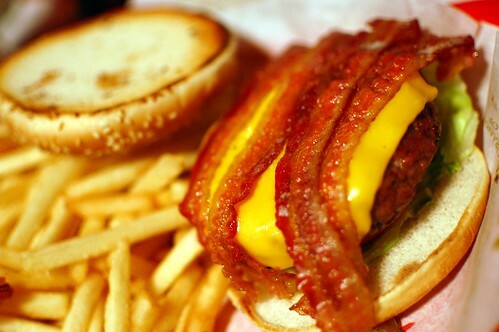 Bacon burger with American cheese ($6.00). Believe it or not, I spent another afternoon in the bathroom. I hate this place. 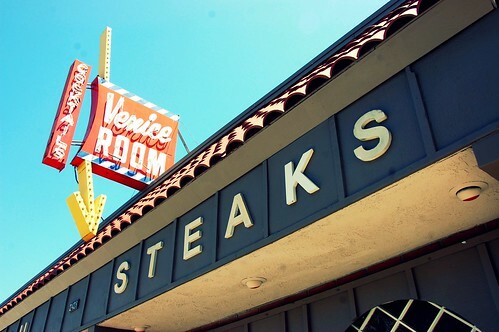 i grew up down the street from the venice room. :) that place is the running joke in my circle of friends. i have no idea why it still exists. so sorry you had to experience it. i apologize on behalf of my hood. $8 for a steak dinner? lol Oh boy, dude. I'm surprised you hang out with people with terrible taste, or at least let them pick the restaurant to dine at. Dang, I can't believe you went back after the first experience. You were totally asking for it by cooking your own steak (sounds like Melting Pot right?) and only $8 for a steak. Oh no. :/ Dude, we don't even pay $8 for a nice steak that we buy to cook at our own home. That's sayin' something.